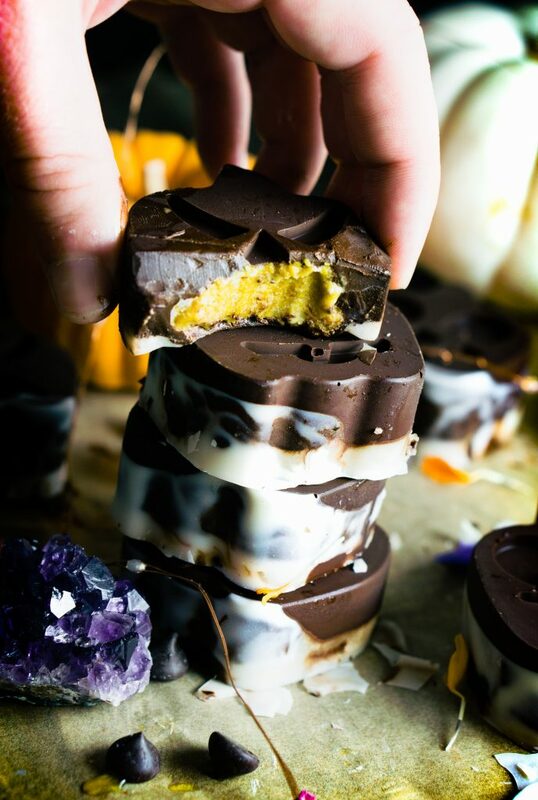 Dark Chocolate Pumpkin Coconut Butter Cups (vegan, keto, paleo, body ecology & CBD option) are so much fun to make and so delicious to eat. They only take a few minutes, open them in the freezer and you have chocolate, gooey filled candies. 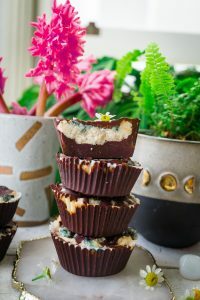 My favorite thing about coconut butter cups is because you get all the healthy fats, and it yummy flavors at the same time. It’s also the best to be able to mix coconut butter and pumpkin, it’s like a flavor sent from the heavens. 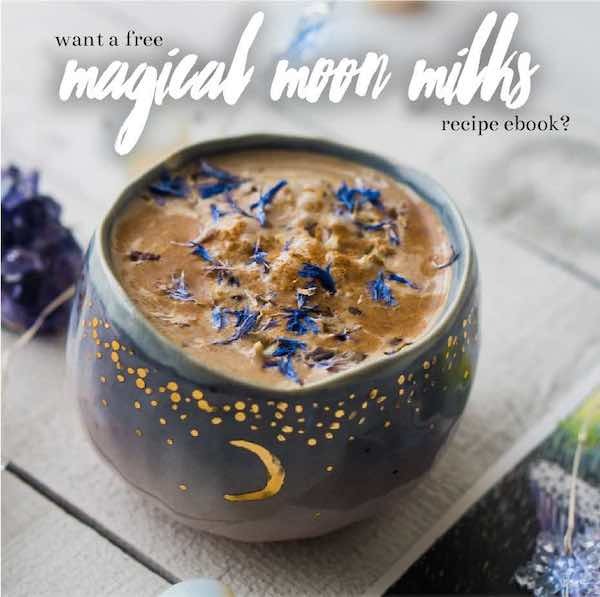 You can sweeten this recipe in any way that you want, if you are not sugar-free you can just use maple syrup, or honey if you want to stay refined sugar-free. My passion for making homemade chocolates all started because I can never find any candy, or chocolates that aren’t filled with sugar. I rarely find any sugar-free candy that is sweetened with stevia or raw monk. That is the best reason to make homemade candy, you still can enjoy a homemade treat and keep it healthy at the same time. 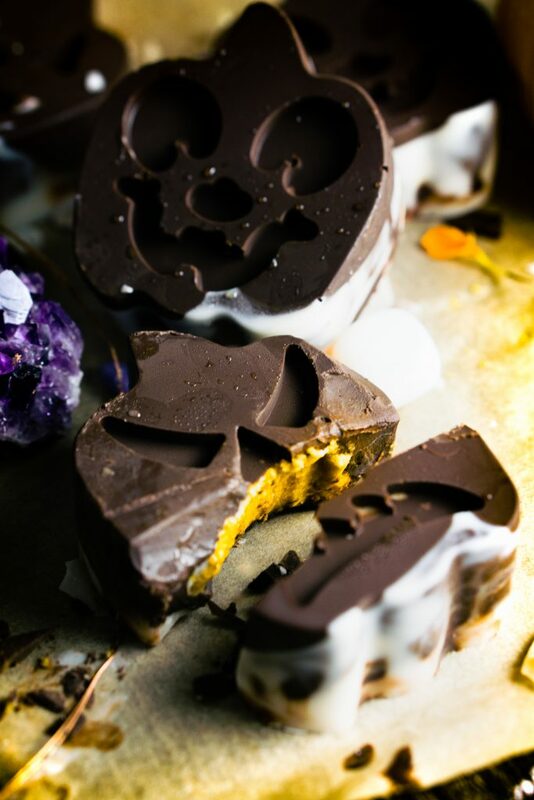 These treats are good for making in any kind of molds of your choice, kids will LOVE to make them with you. 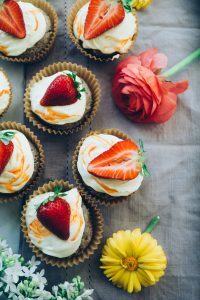 I remember growing up with my Grandma and for all occasions we were in the kitchen, baking away. 🙂 The best memories for me came from out of the kitchen. Now I love making all the treats to feel closer to her and share them with my loved ones. I hope you make the time for yourself and loved ones to enjoy. pinch of pink sea salt. 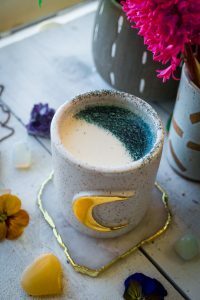 Melt coconut oil with the pumpkin puree add pumpkin spice, & raw monk fruit extract or any sweetener to taste. 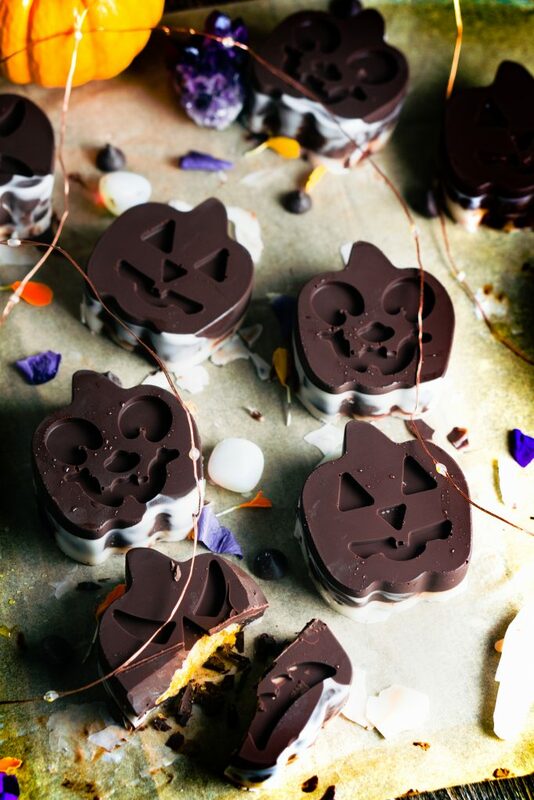 Pour half of your sweetened chocolate mix into the pumpkin molds. Layer the coconut butter next. Gently place a dollop of your pumpkin mix into the middle. Pour the rest of the chocolate on top. Sprinkle pink sea salt on top. 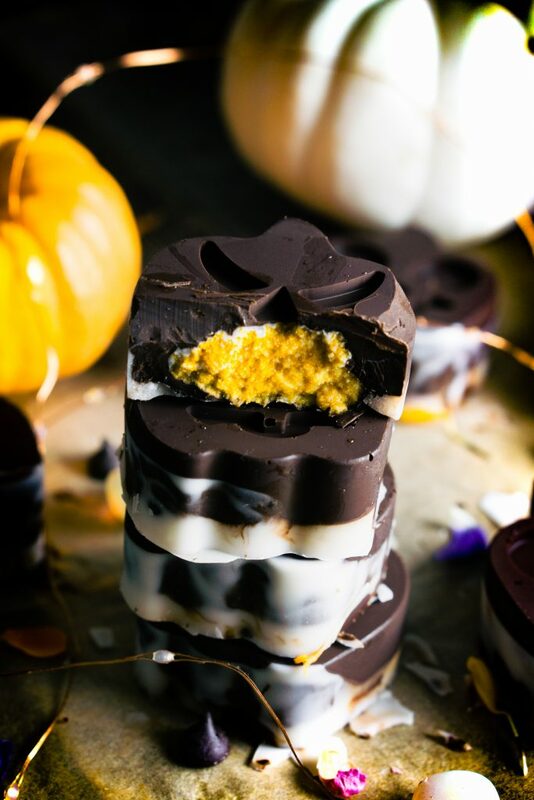 Place in the freezer for 2-3 hours before removing the chocolate out of your molds. Store in freezer for 2-3 months, store in the fridge for 1-3 days at most.